A few days ago, a collaboration event between Final Fantasy XV and Final Fantasy XIV has announced by Square Enix. 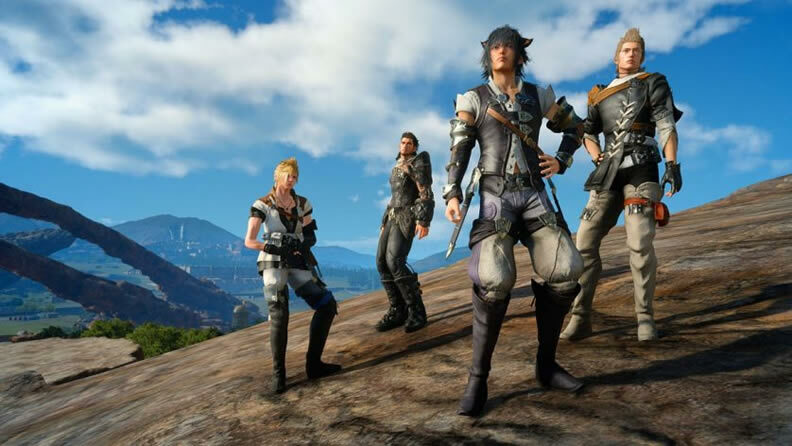 The occasion will start on December 12th at 5 p.m. PT in Final Fantasy XV and a brand new in-game quest titled "Adventurer from Another World" was introduced. When on this quest, Noctis and his crew meet the mysterious Miqo'te, Y'jhimei, and journey with her to Perpetouss Keep. The quest concludes having a battle against the primal Garuda from Final Fantasy XIV. A number of Final Fantasy XIV-themed costumes will bring to players who full this quest. Information regarding the Final Fantasy XIV side of the collaboration event has not been announced. In other news, Square Enix not too long ago announced that it has canceled Final Fantasy XV's planned Episode Aranea, Episode Lunafreya, and Episode Noctis DLCs. Keep an eye here, we will continue to update FFXIV news and guides for you, in addition, cheap Final fantasy xiv gil also on sale at ffxiv4gil.com.